Can you volunteer your time for the arts? 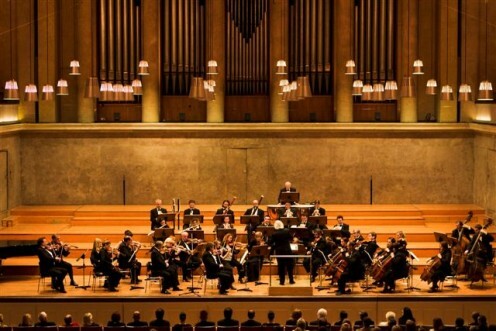 The International Music Center of America (IMCA), a non-profit arts organization with offices in Maryland and California, is bringing the Dubrovnik Symphony Orchestra (DSO) from its home in Croatia to the United States for a brief tour, November 1-12, 2007. The ensemble will perform works by contemporary Croatian composers Pero Šiša (currently composer in residence and General Director of DSO), and Boris Papandopulo, as well as a late Mozart symphony. DSO Music Director Zlatan Srzic will lead the orchestra; Prominent Polish percussionist Jan Lotko will be the featured soloist. The tour is sponsored by Croatian Ministry of Culture, the City of Dubrovnik, and the IMCA. While many of the expenses will be paid by the city government of Dubrovnik, IMCA has committed to certain expenses as well and is asking for volunteers and support. * Knowledge of Croatian language would be the icing on the cake, but is not required.